Sound (4.8/10) – The CX300s are known around here mostly for their bass, which is usually cast in a negative light. The low end does offer a whole lot of grunt but lacks in detail and rolls off steeply below 35Hz. There is some mid-range bleed, coloring the sound and obscuring lower-midrange detail. The lack of definition also causes drums to sound ‘hollow’ at times. But there are upsides: compared to a lot of bottom-tier offerings the sound of the CX300s is dimensional and well-spaced. Clarity is quite decent in the rest of the range. The midrange isn’t recessed and the treble boasts decent extension; there’s just not enough of it. The overall balance is very reminiscent of the Lenntek Sonix Micro, with a slightly better sense of space but also poorer bass control. The sound is very pleasant for pop, rap, and soft rock, though it starts deteriorating on fast and dense tracks. Value (4/10) – The pricing of earphones such as the Lenntek Sonix Micro and the “younger sibling” CX250 render the CX300 somewhat mediocre in today’s crowded marketplace. Their popularity is easy to explain – the powerful bass works well with the dimensionality and clarity of the rest of the range. Plus the CX300s were one of the only IEMs in their price range upon release, building up fame and a loyal following rather quickly. I do think that much of the distaste for the CX300 around the forum is exaggerated – they really aren’t offensive to my ears. But as a whole package, this one is best left to the history books. thanks alot for your response.Meybe i could have got fake jvc xtreme xplosive i cant tell….However i recieved my cx300ii and they aint dat bad.i think the issues with these r the highs,they sound like some cheap eabuds,the bass is average though and ok i must..Also not as much on the jvc but i think cx300 bass was more alive…I bought the Narmoo s1 and am waiting for them to be shipped…if i dont like them i will try yamaha Eph 100 hope some day i find what am looking for. If the JVC Xtreme Xplosives didn’t have enough bass I don’t really have anything to recommend. Everything I’ve tried from Brainwavz and Narmoo has less bass than those. Same goes for the Soundmagic E10. you need to review the CX300-II before they become extinct. I’ve owned a pair for 2 years and think they would get a much better rating for sound than 4.8/10 and their durability is awesome. I carry them around in my pocket most days and they still work, even after my 3 year old daughter has beaten them up. Thanks for all your hard work! The CX300-II is supposed to be much improved by all accounts. 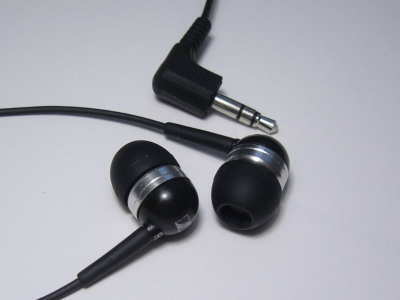 Dammit ljokerl, so many earphones you had and didnt tried CX300-II 🙂 I could use that info for understanding how others phones should sound which you are rating using CX300-II as an example, because its the only one i had. btw a little bit off topic; well i was CX300-II owner but recently after two years of using they finally got broken (I was pretty happy with them). Now im reading a lot of yours reviews, other people reviews and trying to find in-ear phones which gives nice DEEP (LOW) BASS + nice sound overall + nice build quality that wont break when i fall asleep with them. Im mostly listening deep house, chillstep, progressive house, minimal, electronic, indie and really love ; how i shoud say ; ?deep? bass. For example i divide BASS to high (which can be heard in pop songs) and deep low BASS (which can be heard in my music styles (I really hope you have heard some of them)) and for example CX300-II was providing “high bass” way more better than “deep low” bass which i actually want. So, after all those reviews i picked these three in-ear headphones: Brainwavz M2 (first place), Audio-Technica ATH-CKS55, beyerdynamic dtx 101 ie, but im afraid its not what i really want. Maybe they will provide nice bass but not that one which i want. So maybe you have something to suggest me in the same price class as these three i wrote or maybe one of them is actually what im searching for? Yes, somehow the CX300-II has eluded me. I keep thinking that any day now Sennheiser is going to discontinue it – after all it’s an evolution of a design from 2004(!). I do listen to a good bit of Electronic music, maybe not the same exact subgenres but enough to know what sounds good to me. The sound you want is one where the deep bass remains unmasked, but the presence is good across all low frequencies. For me the ideal case is that of the Yamaha EPH-100 https://theheadphonelist.com/headphone_review/yamaha-eph-100/ but if you want to spend less there are some other options. The Sony MH1C is very good – not as bassy as the EPH-100, but very clean and extended. It’s a fantastic value. The Nuforce NE-700X (and event he cheaper NE-600X) has a sound that is a little more dominated by mid-bass but still do a good job of producing subbass. The RHA MA350 is even more reasonably-priced and likewise has strong deep bass. If you’re going to sleep in them that might eliminate some options that are too large but I think those are the ones you’ll want to take a look at. Any feedback on the CX 300-II? I’m trying to decide between CX 300-II and MH1C. Mind the price, I’ve found both of them at roughly $30 shipped (within EU). I’ve had the original CX 300 but the cable broke after a while. I found them being quite nice, but the low end was a bit “thumpy” and loose. Just like John was mentioning, I’m looking for a relatively cheap and well rounded IEM with nice and balanced sound with a bit of emphasis on the sub-bass. No hands-on time with the CX300 mkII but the MH1C does what you want. Other than the craptastic cable it’s actually a fantastic IEM for the price. Could you please do a review on the CX 300 Precision II, I have owned them swell as sonic gr02 bass and from my perspective the precisions are better, I’d love to hear your take on them. They were supposed to be a major upgrade, not sure why I never got my hands on them. Will keep them in mind.